alexander - C/Site recording artist David Alexander Shapiro from Lituya Bay, Nagual, and Headroom. ELECTRIC DAWN - Dawn Cook from The Shrinnirs/Bimbo Shrineheads. MONSSOONNS - the guys from PREACHER are now sound sorta like FLIPPER and are known as Monssoonns. 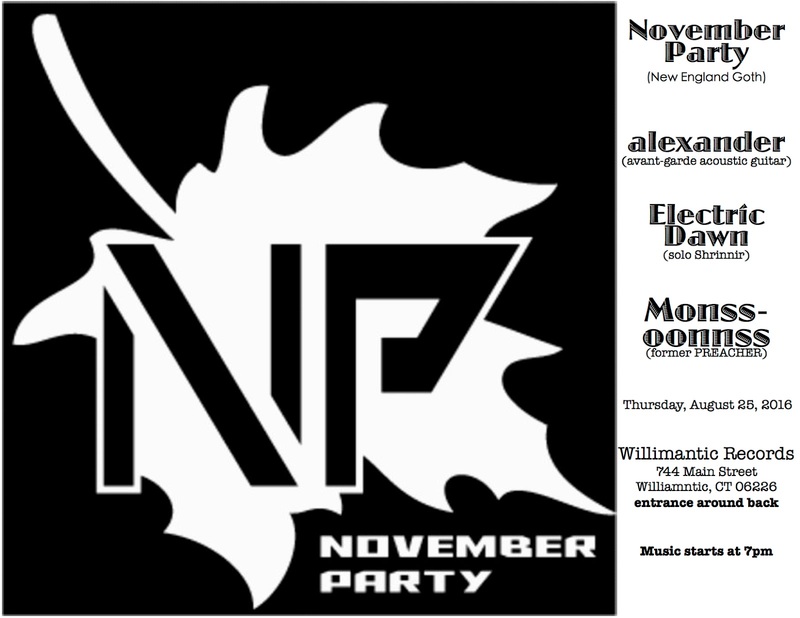 NOVEMBER PARTY - New England goth veterans Dorian James, Mike Rebeiro, and Peter N.